Welcome to the best little glass bead show on the web, where we promote genuine artisans making quality glass beads! 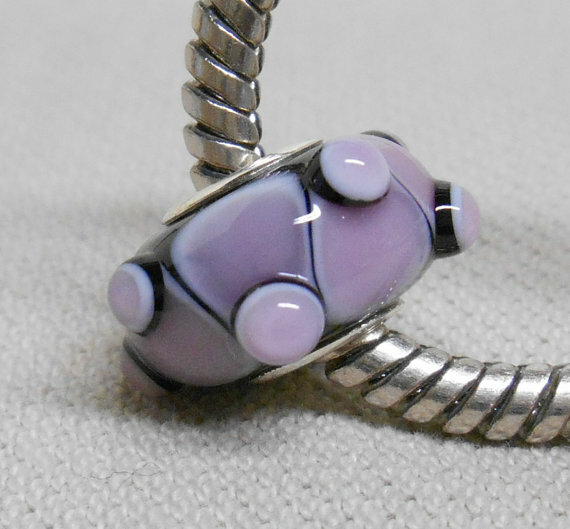 Check out this big hole glass bead for a Pandora bracelet from Darlene of LTD Artglass. Don't you just love the triangles?